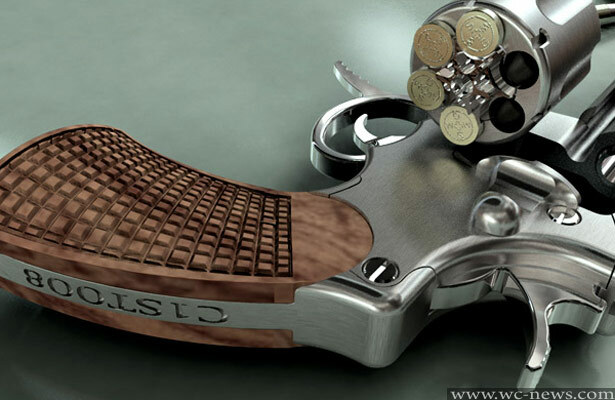 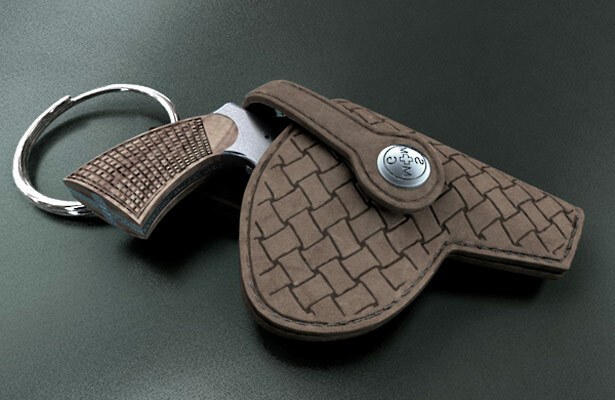 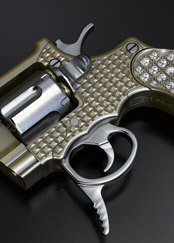 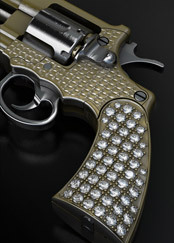 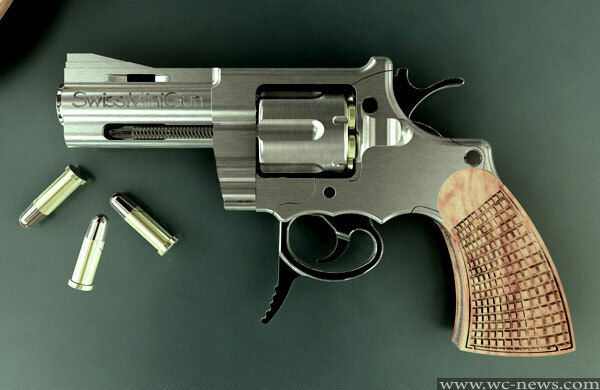 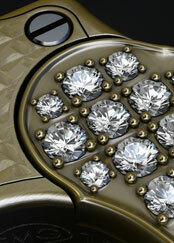 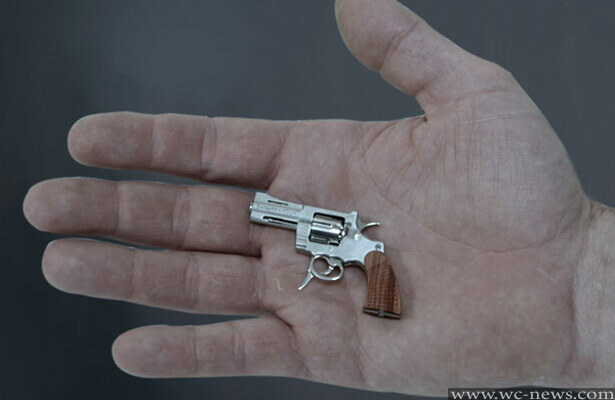 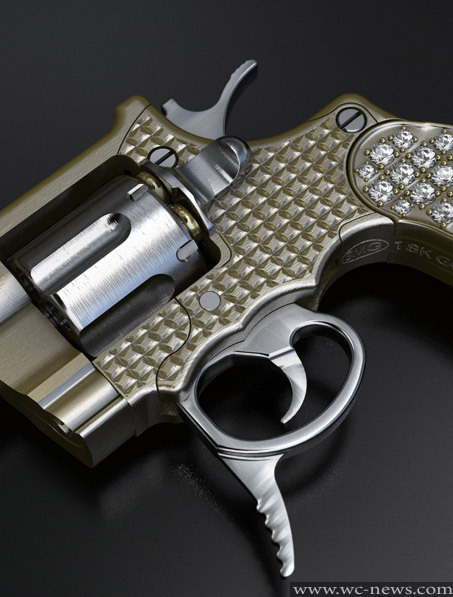 This gun use 2.34 mm caliber rim fire ammunition which is specially developed for it. 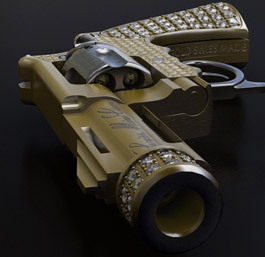 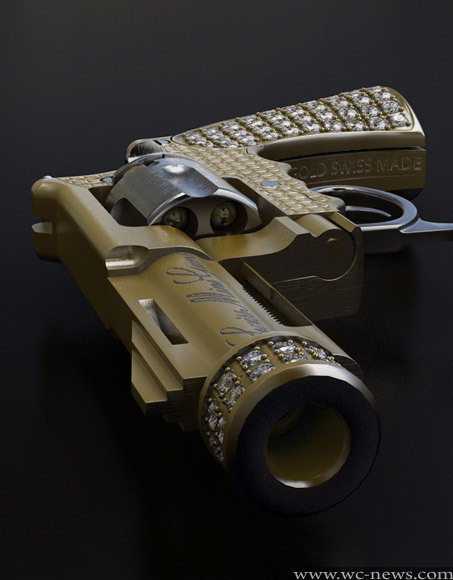 Actually there is a while since this company has started producing mini guns but now they decided to offer and luxury version of this mini gun in 18k solid gold, hand engraved, with diamonds or other collared precious stones. 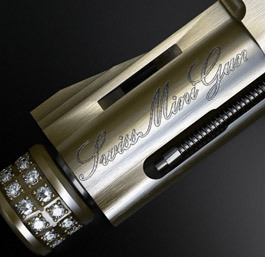 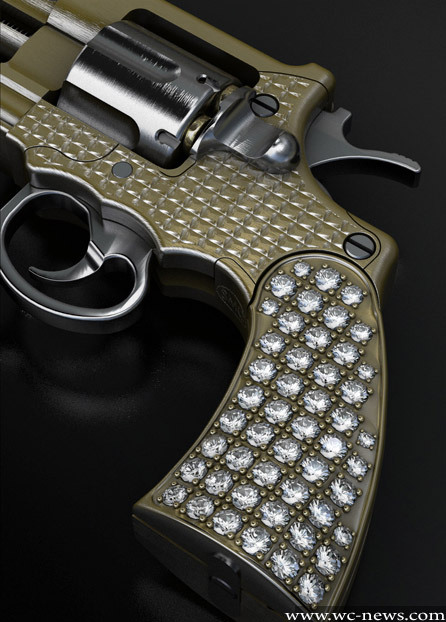 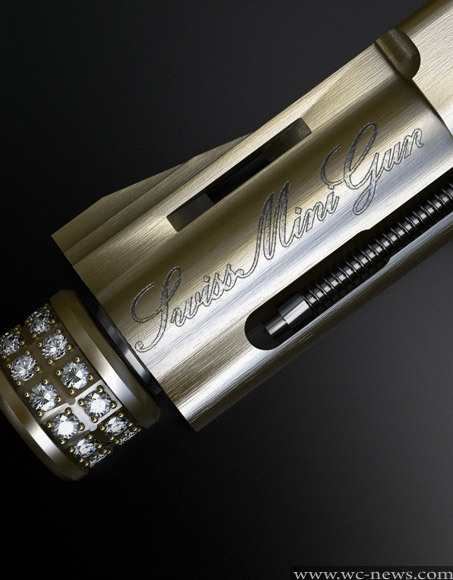 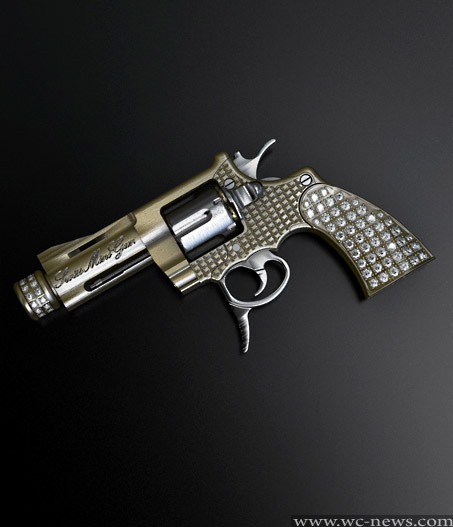 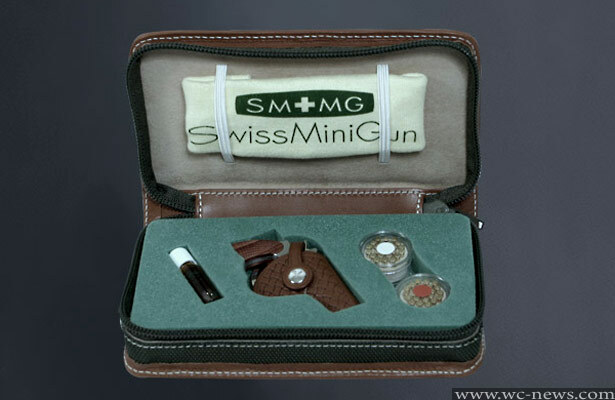 The price of the mini gun made in stainless steel is 6 500 Swiss Francs (around $6 300); and the price of the gold luxury version depends on the quantity of the finishing and the customer’s wishes and they can varied because the Swiss company offers a lot of to choose from such as: ebony grips, hand engraved grips, gold grips with diamonds or collared precious stones). 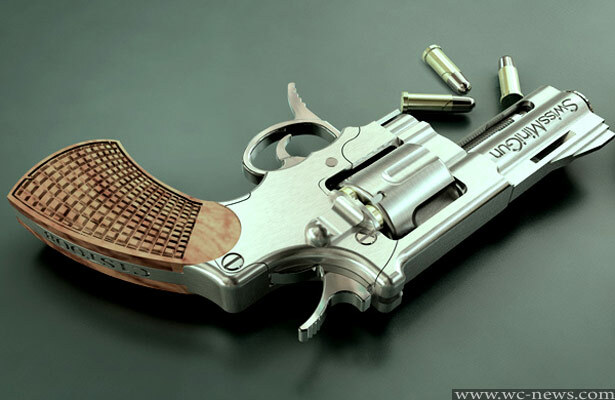 This version is made on order only.